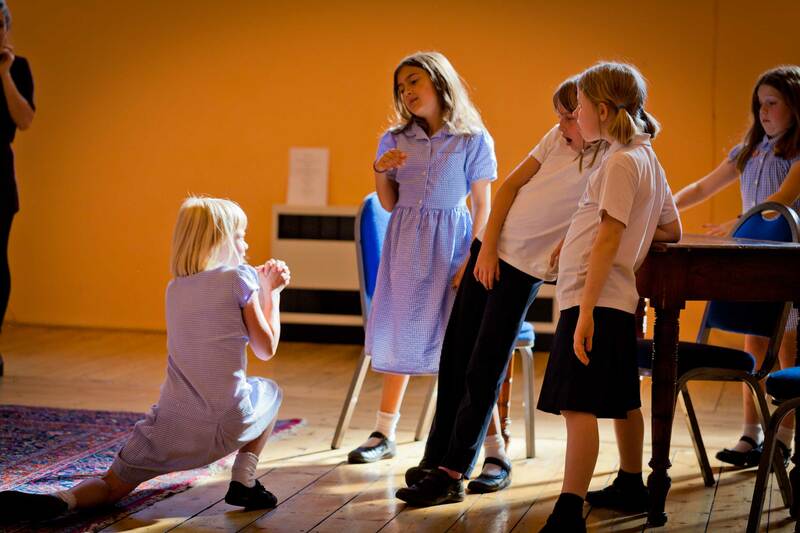 "Katherine is so enthusiastic and fun"
"I would recommend Katharine's Drama to any parent "
"I looked forward to her lessons every week"
"Drama is the best bit of their week!" 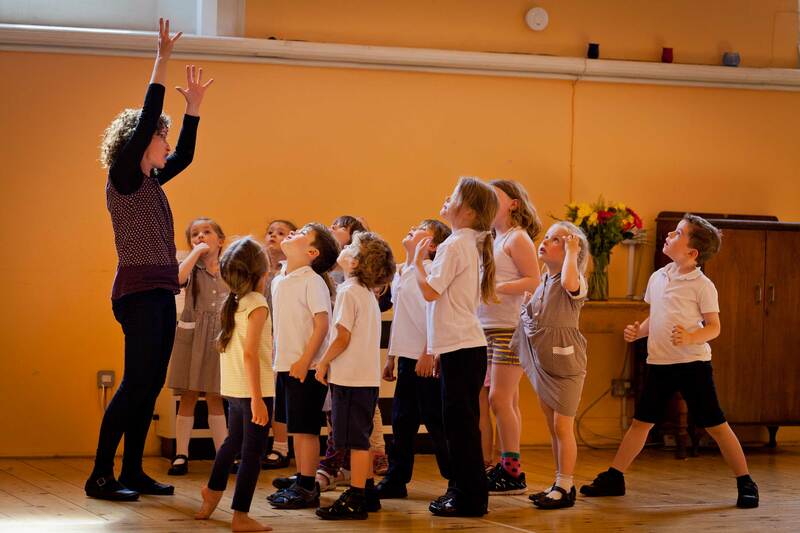 I run a range of classes from nursery to infants and juniors and right through secondary school, often giving one-to-one tuition to students studying GCSE and A-level drama. 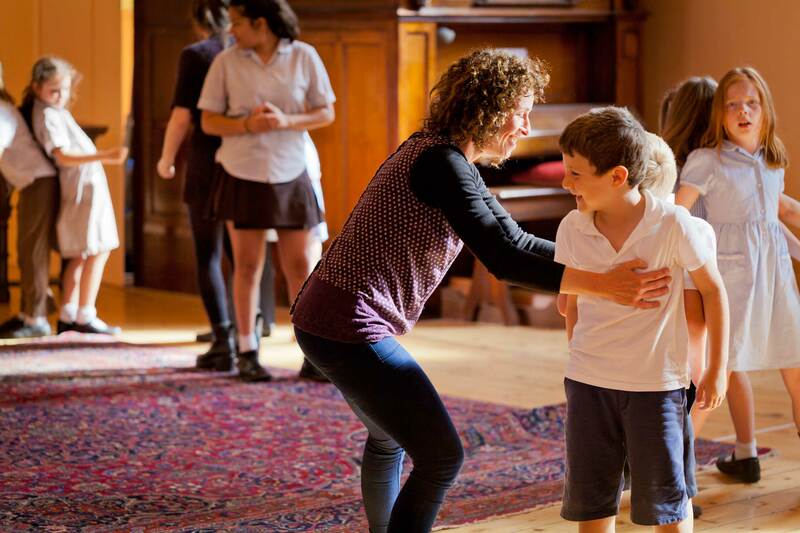 The emphasis of my classes is not so much on performance but more on imaginary play, working through improvisation, and devising or creating stories and characters. I draw on the children’s own imagination and spontaneity. 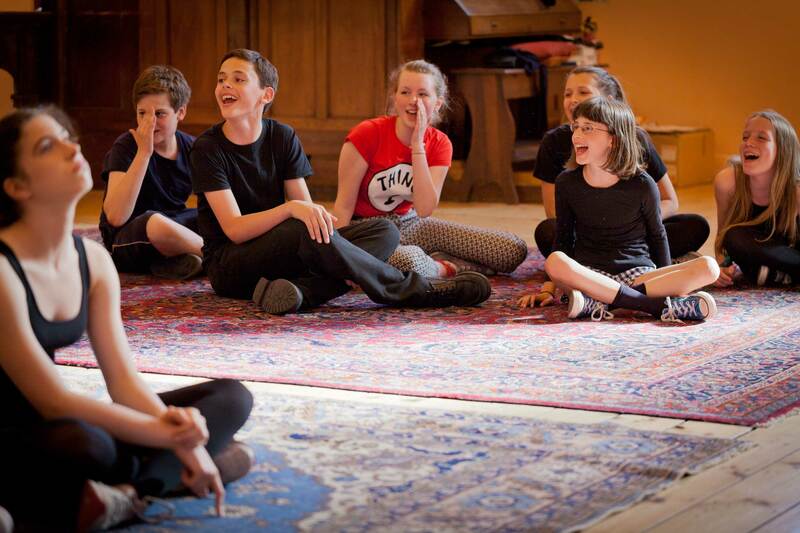 With younger children we explore a variety of ideas and stories that change from week to week, and with older children we might devise a piece week by week over a term or two, spending sometime exploring the background of a story and its characters. Infant classes involve imaginary play through movement, sound and story-telling, improvising and exploring a variety of stories and ideas. From Creation to dinosaurs and cavemen, aliens and pirates, puppets, the five senses, Aesop’s Fables, Cinderella and much, much more. I use the Mister Men characters as a starting point for very young children to develop an understanding of characters. For example an imaginary adventure outdoors: The children caught in the wind, stuck in the mud, climbing hills, rolling down, building a grass house and at the seaside running away from the waves, rock pools, crabs and castles and ice creams! With older children, classes draw on aspects of the school curriculum. An example would be a spy thriller set in World War II, focusing on the French resistance. We debate the role and courage of the resistance and every aspect of war, including rationing, evacuation, occupation, anti-Semitism, and the quest for power. We study the training of a spy, including the need to speak different languages and be resourceful. 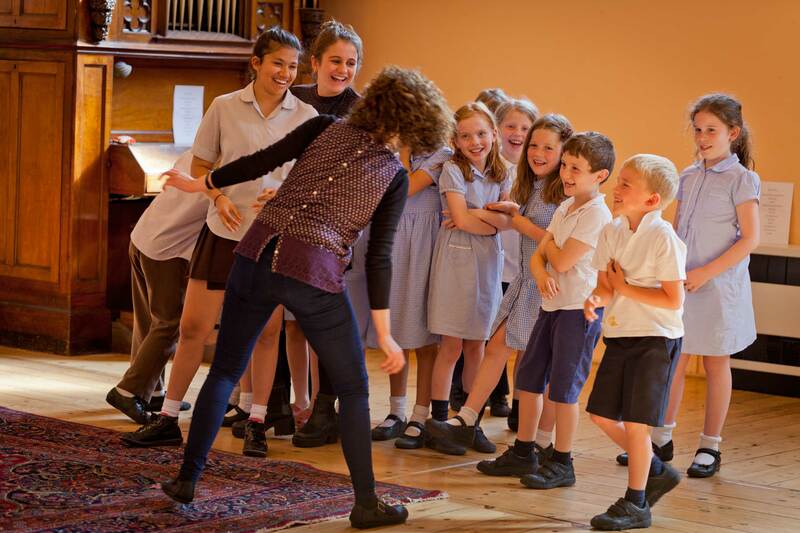 Another example is a murder mystery in a stately home, which allows students to explore the role of the servants, learning about social class and the hierarchy below stairs, with many Downton Abbey-style scenes in the kitchen. They learn to pass from being aristocrats to servants. 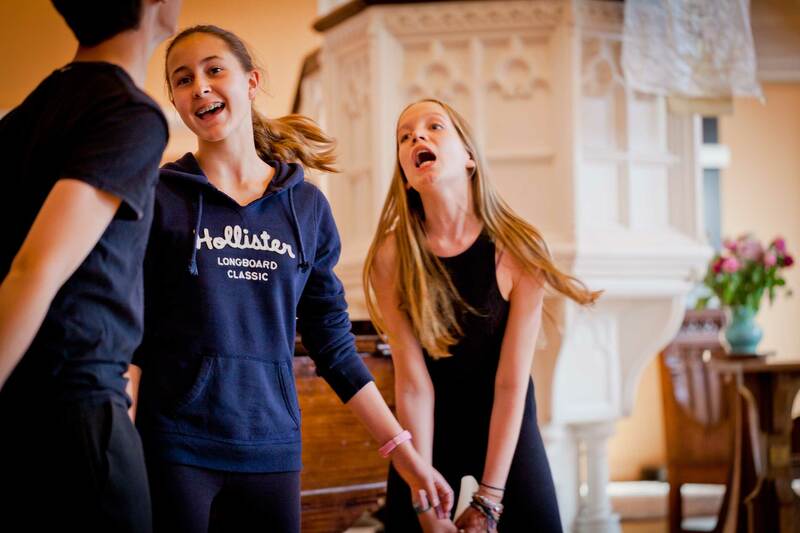 "KATHARINE IS SO ENTHUSIASTIC AND FUN. 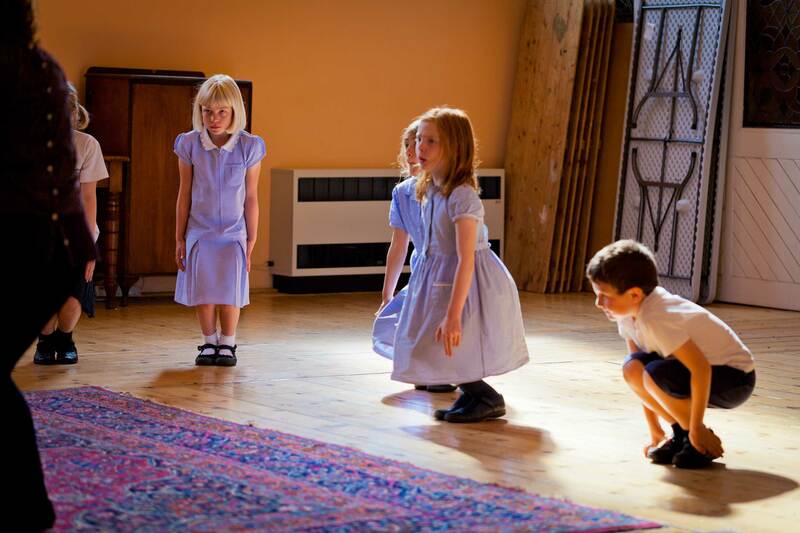 THE CHILDREN LOVE HER"
We also do a time travel project in which a group of children on holiday at a campsite disappear through a time portal in the woods while playing hide and seek and end up in various eras and lands. From the gladiators to the ‘land of opposites’ and mechanical dolls to the maze at Hampton Court. This is a project where diverse characters come together in the quest to get home. Another project is a ‘Lost’ adventure in which they are travellers on an island inhabited by cannibals, like Papua New Guinea. They explore how they would survive – what they would eat, for example - when everything has been lost at sea. They may have to create new ways of communicating with each other. We also look at Victorian melodrama, comedy including exploring family relationships. The preparation we do informs how the characters and stories develop, and students learn about the structure of a story. This may then feed back into their English and creative writing. I also work with Grimm’s Fairy Tales, transforming them into modern day threats and themes. 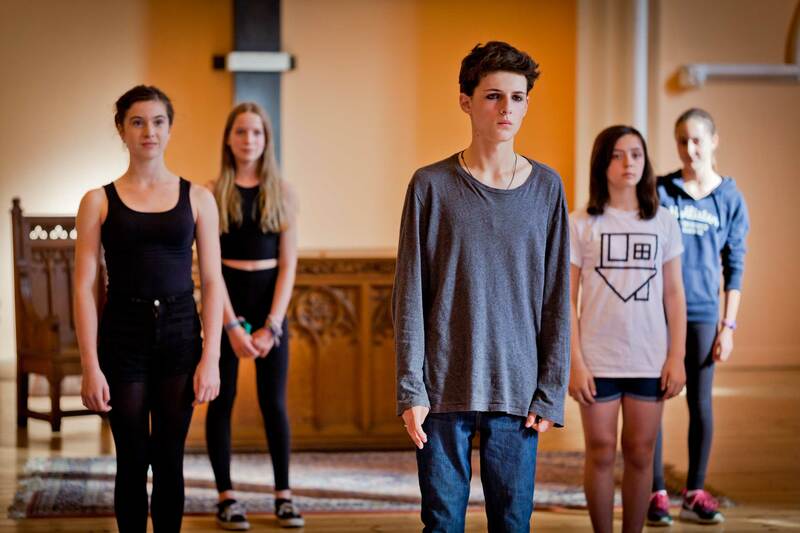 We improvise scenes that look at bullying and what it is to be homeless, to be ostracised. I get students to empathise with apparently bad characters, seeing how they have been damaged themselves, so learning about psychology and everything to do with life. 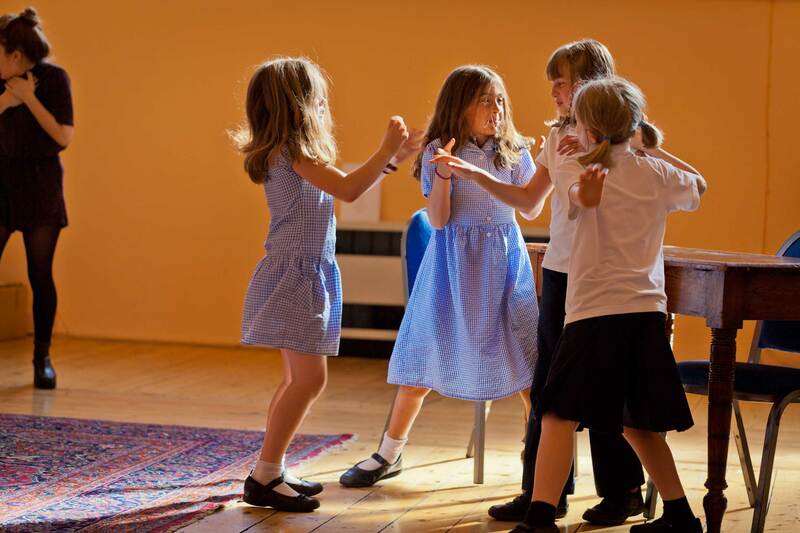 The wonder of drama is that you can explore all of life in an expressive and creative way, developing confidence, imagination and interaction, escaping technology just for a little while! "I trained as an actress and had a successful career in theatre, film, television and radio"
"My proudest moment was playing Anne in the Diary of Anne Frank for the BBC"
Payment must be made by the start of term. If a child wishes to stop drama at any time I will give a full refund for the remaining classes as long as I am notified by the parent a week ahead. The number of classes varies each term depending on School dates but the price remains the same over the year as does the number of weeks overall. If a class is cancelled it will be rescheduled later in the term. Cheques should be made payable to K.Schlesinger. Please ask for BACS details if you'd like to pay by bank transfer.